DEASE, ELLEN, named Mother Teresa, of the Institute of the Blessed Virgin Mary in America; b. 4 May 1820 at Naas (Republic of Ireland), daughter of Oliver Dease and Anne Nugent; d. 1 July 1889 at Toronto, Ont. Ellen Dease was the youngest of five children whose parents were both from ancient and distinguished families. Orphaned while young, she went to live with her grandmother in Dublin and received most of her early education at home. 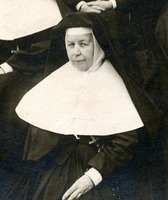 She attended a seminary for young ladies in Dublin before furthering her education in Europe, mainly in Paris. Fluent in French and Italian, she was also an accomplished musician who for a time participated in the social life of Dublin. At the age of 25 Ellen entered the novitiate of the Roman Catholic Loretto (now Loreto) Abbey, Rathfarnham (County Dublin), and became known as Mother Teresa. The Dublin abbey, established in 1822, is the Irish branch of the Institute of the Blessed Virgin Mary, founded in the 17th century by Mary Ward. She had seen the need for a more ordinary manner of religious life for women, allowing them freedom to go when and where they could serve the church, but in time a more monastic life was adopted, with religious names being introduced in 1810. The institute had quietly opened a school for girls in York in 1686, long the only such Catholic school in England. Bishop Power apparently did everything possible to ensure a good journey for the sisters, and all went well until their arrival in Toronto on 16 September. Seeing at once they were not expected, they took a cab in some embarrassment to the bishop’s house, and then were further dismayed by his worried manner. The travellers had been unaware that malignant typhus was raging in the city. Bishop Power, occupied with tending the sick, the dying, and the bereaved, in what Henry Scadding* called “the terrible season of 1847,” had no place prepared for them. The sisters were made welcome in a private home until a house was rented on Duke Street; classes began there for nine boarders on 29 September with Mother Teresa teaching languages and music. Meanwhile the bishop had contracted fever, and on 1 October he died. 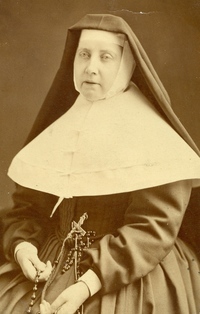 Bishop Power’s death was a near disaster to the Loretto sisters who now found themselves, some two weeks after arriving, deprived of their patron. The newly formed diocese did not have the means to provide for them, and no help could be expected from the hard pressed motherhouse in Ireland. With great determination and often at the expense of their well-being, the sisters, led by Mother Ignatia (Anne Hutchinson), threw themselves into their work. In 1848 they moved to a larger but less expensive house. The income from their private boarding- and day-school, Loretto House, enabled them to open a free school for poor children in the cathedral parish with Mother Gertrude (Mary Fleming) as teacher, the first sister to teach in the separate schools of the city. When Bishop Power’s successor, Armand-François-Marie de Charbonnel*, arrived in Toronto in 1850, he was alarmed at the plight of the sisters and immediately wrote on their behalf to Dublin: “Deprived of a bishop, of a house, and of many other things during three years, I am amazed at their having got through the numberless difficulties. . . . The members of the house are too few . . . in fact they are overwhelmed.” However, the rigours of the climate and overwork continued to take their toll. Mother Ignatia lived only long enough to find renewed hope for the survival of the Canadian foundation. By the time of her death on 9 March 1851 the little group of five had lost two others, including Mother Gertrude. On 19 March 1851 Mother Teresa was named superior and entered on the long term of office that gave her the title of foundress of the institute in America. In September classes resumed with new hope. Numbers had increased in the Roman Catholic community and its schools and there was a contagious mood of success in the atmosphere of Toronto, now increasing its influence with the expansion of industry and the railways. As education became more important in the new prosperity, Loretto grew. During her administration Mother Teresa opened 13 houses. The sixth, Loretto-Niagara at Niagara Falls, remained her favourite; the seventh, Loretto House on Bond Street, was the first home the sisters owned in Toronto; and the ninth, on Wellington Street, was the first considered suitable to bear the name Loretto Abbey. The last foundation made by Mother Teresa was in 1880, at Joliet, Ill., the first of several opened in the United States. The Lindsay school, opened in 1874, has particular significance. The parish priest, Father Michael Stafford, aware of the career-oriented curricula in the public schools, insisted that pupils in his pastoral care follow like courses and write the examinations of the provincial Department of Education. Teachers were therefore required to have professional certificates but, although the institute had many new members, few had normal school training and certificates when they entered. In the 19th century, education of young ladies emphasized character training based on religious and ethical principles, artistic and social accomplishments, and competence in the management of a home; both within and without the community there were strong objections to any changes. Some thought it deplorable to descend to competition in education, not to mention the indignity of girls entering the business world to earn their own living. Even Mother Teresa, always insistent that her teachers be competent in their field and well prepared for their classes, wrote in a letter to Ireland: “Education here is carried to excess.” However, before long the sisters were attending the Toronto Normal School, and china painting and “plain and fancy needlework” along with fluency in foreign languages vanished into the history of education. On 6 June 1881 the Institute of the Blessed Virgin Mary was established in America by papal decree as a generalate in its own right, separate from Rathfarnham. Mother Teresa, who had travelled to Ireland in 1860 and 1870, both to obtain needed funds and volunteers and to ensure that the Canadian houses were following the life-style of the Dublin abbey, thus became the superior general of the institute in America. Though she outlived the other sisters who came in 1847, Mother Teresa’s health had long been delicate, and in her 70th year she died at Loretto Abbey in Toronto. Her grave is in the grounds of the place she loved, Loretto-Niagara. Mother Teresa was given affection and respect by countless friends, both Roman Catholic and Protestant; by pupils, who at the time of her death numbered thousands; and by the sisters of the institute in Ireland and in Canada. Dearly loved by young children, she had the gracious and gentle manner of a Victorian lady, but like all leaders and founders she had to cope, sometimes firmly, with people and problems both in and outside of her communities. That she did so with a minimum of friction was owing to her own serenity, and to the faith, hope, and love that supported her fortitude. Perhaps her quiet greatness is best seen in the self-mastery of learning to live with loneliness for her homeland, with privation and hardship, and even with harrowing situations. She was able to adapt herself and the institute to the changing needs of the church. She gave her life to Canada and earned a place of honour in its history. Arch. of the Archdiocese of Toronto, Bishops Power and de Charbonnel letterbook and de Charbonnel letters; Bishops Power and de Charbonnel letterbook and Power letters. Loretto Abbey Arch. (Toronto), Annals; Corr. ; Doc. ; Memoranda. M. C. E. Chambers, The life of Mary Ward (1585–1645), ed. H. J. Coleridge (2v., London, 1882–85), II: 465. St. Mary’s convent, Micklegate Bar, York, ed. H. J. Coleridge (London, 1887), 77–90. 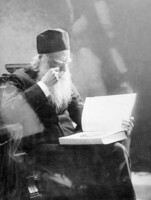 Henry Scadding, Toronto of old, ed. F. H. Armstrong (Toronto, 1966), 48. Eric Arthur, Toronto, no mean city ([Toronto], 1964), 120–21. Joyful mother of children: Mother Frances Mary Teresa Ball (Dublin, 1961), 65, 214–15. L. K. Shook, Catholic post-secondary education in English-speaking Canada: a history (Toronto and Buffalo, N.Y., 1971), 156. M. Margarita, “The Institute of the Blessed Virgin Mary,” CCHA Report, 12 (1944–45): 69–81. Kathleen McGovern, “DEASE, ELLEN, Mother Teresa,” in Dictionary of Canadian Biography, vol. 11, University of Toronto/Université Laval, 2003–, accessed April 21, 2019, http://www.biographi.ca/en/bio/dease_ellen_11E.html.